LONDON -- Demand for new diesel cars in Britain plunged by more than a third in March, generally the top selling month of the year, pushing down total registrations by 16 percent. 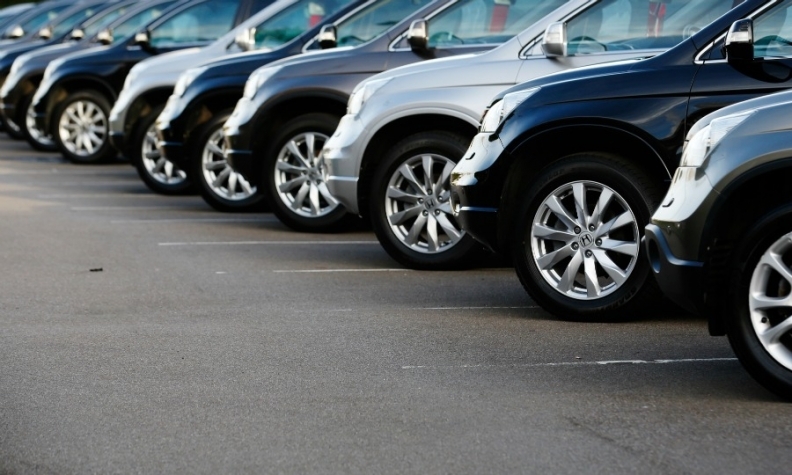 Total monthly sales fell to 474,069 vehicles, data from the Society of Motor Manufacturers and Traders (SMMT) showed. Diesel sales fell 37 percent to 153,594 vehicles. Diesel's market share dropped to 32.4 percent from 43.5 percent in March 2017. Adverse publicity over diesel emissions and weakening consumer confidence in the wake of the 2016 Brexit vote have been blamed for falling UK sales over the last 12 months. More than 60 percent of recent or prospective car buyers have had their decision-making influenced by Britain's exit from the European Union, including some delaying a purchase, a survey by Auto Trader released last month showed. Sales of diesel cars have slumped in many European countries as regulators and politicians crack down on the segment with plans for bans, levies and additional taxes in many cities. Since the 2015 Volkswagen emissions cheating scandal, a number of major cities including Madrid, Paris and Athens have announced plans focused on cutting diesel emissions. In Germany sales of diesel cars fell 25 percent in March. SMMT CEO Mike Hawes defended new, clean diesel models. "All technologies, regardless of fuel type, have a role to play in helping improve air quality while meeting our climate change targets, so government must do more to encourage consumers to buy new vehicles rather than hang onto their older, more polluting vehicles," he said. March is generally the top-selling month of the year in the UK as it is one of only two months when new license plates are issued. After 2015 and 2016 record-high sales, full-year demand dropped 5.7 percent to 2.54 million in 2017 due to uncertainty about future environmental levies on diesel cars and weaker consumer spending after the Brexit vote, which pushed up prices. Demand was also artificially inflated in March last year, when customers brought forward purchases to beat a tax rise which came into force in April 2017. Fiat's UK sales plunged 34 percent last month, making it the biggest loser among major mass-market brands. Nissan's volume fell 33 percent, while Ford and Citroen sales both dropped 30 percent. PSA Group's newly acquired Vauxhall brand fell 20 percent. Other losers included Renault, whose registrations fell 24 percent and Peugeot, whose sales dropped 15 percent. VW brand volume fell 4.1 percent, while Toyota sales dropped 8 percent. Among premium brands, BMW registrations decreased 9.2 percent, while Audi volume fell 2.9 percent and Mercedes-Benz registrations dropped 6.9 percent. • Click here for March UK sales by brand. Gainers included Seat, whose registrations rose 5.6 percent, Honda, where sales were up 2.2 percent and Hyundai, whose volume grew by 0.3 percent. Through March, the overall market fell 12 percent to 718,489.